As you get better at golfing and move from one level of play to the next, the gear you use will likely need to change. The biggest change will be to the golf clubs you use, as there are clubs specifically designed for beginners, intermediate players, advanced players and professionals. As you move from beginner to intermediate player, you will have to assess your skills and your needs as a golfer and find the club that fits you best. We’ll show you how to find the best intermediate golf clubs for you and how to ensure you are getting suitable clubs that are worth the money you are investing in them. You might wonder what the use of changing clubs would be. For some golfers, there isn’t much difference between the various golf clubs they use. While you may not find them obvious, there really are differences that you need to be aware of. An intermediate club will allow you to hit more accurately and give you more control. 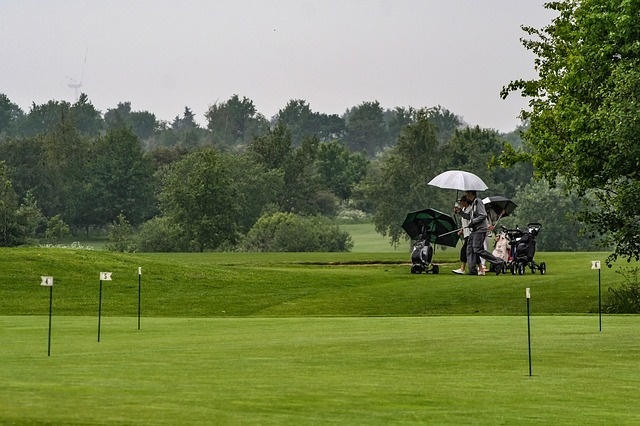 Beginners’ clubs are designed to be very accessible and very easy to use, but they don’t give as much control over where the ball goes and they may not work on varied terrain as well as intermediate clubs do. Intermediate clubs can be used in more situations and offer characteristics that help you to make harder shots. They definitely require a higher skill level to be able to play with as well, but if you are able to move onto intermediate play, then you should be able to handle an intermediate club. Once you start using a suitable club for your skill level, you will find that your accuracy improves, your frustration during the game decreases and your par for the course should improve as well. We have given you an idea of what to look for in your golf club, and now we want to show you five of the best intermediate golf clubs you can get. We hope one of these works for you. Despite the almost budget price, these are far from budget clubs. They are high quality clubs, and you get 12 of them, which is plenty for most intermediate players. These skew on the low end of intermediate range, making them good for beginners as well, but they are priced a bit higher than your average beginner set. 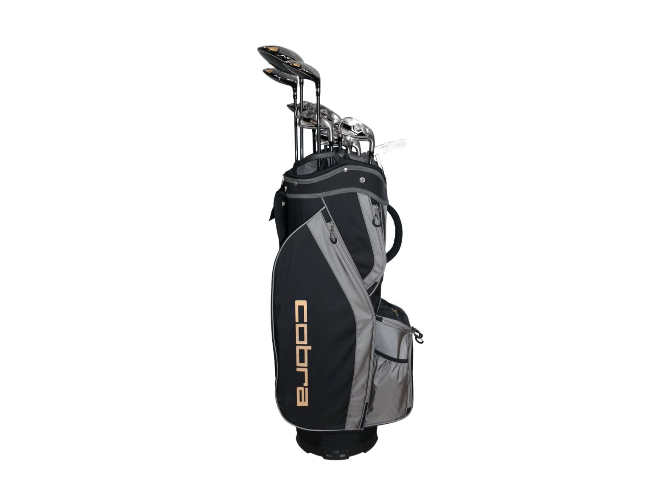 Buying the set gives you the cart bag as well, and these are probably the best clubs you can get for the money at an intermediate level. May not be advanced enough for some intermediate players. 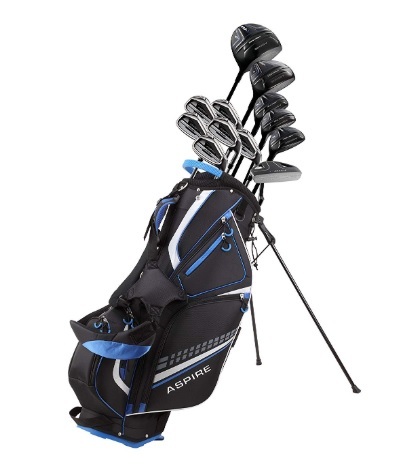 This is another set of clubs from a recognized brand that isn’t quite top tier, but it does offer some great value. 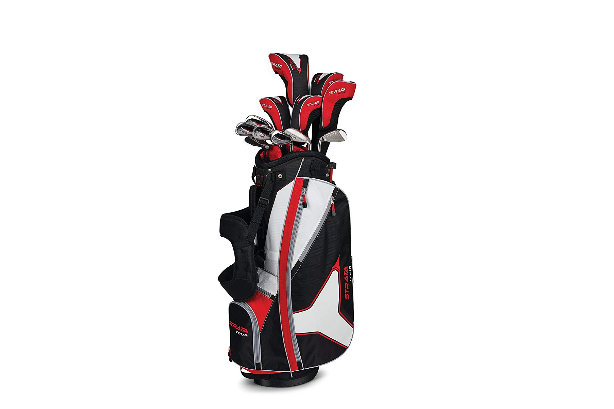 You get a quality bag as well as clubs that are designed with modern technology to help you boost your score better than what you would get by using older, more dated clubs. These are all durable clubs made with high quality materials and designed to last you, so they are definitely worth the money. The are a bit touchy to play with, but you are getting them at a reasonable price compared to the competition, so you can’t expect them to play perfectly. A tad touchy, giving a bit of trouble to control perfectly. These 12 clubs all come with strong, graphite shafts that are made very well and should last you for a long time. In other words, they are well worth your money. The clubs all have back weighting characteristics that help to eliminate unnecessary spin and give you more control. That makes for a fairly high launch with each hit and ensures you can get some incredible distance out of most of your shots. As an intermediate player, you will be able to handle greater distances with your strokes, so a set of clubs that allows you to really let loose is like this is a great choice. Superb pricing and incredible value. Perhaps too much forgiveness for some intermediate players. Now, here is a 19-piece set that includes all the bells and whistles. The clubs themselves are fairly good ones, and they are about what you would expect for the roughly $350 price tag. They are not top of the line, but they don’t need to be at that price. 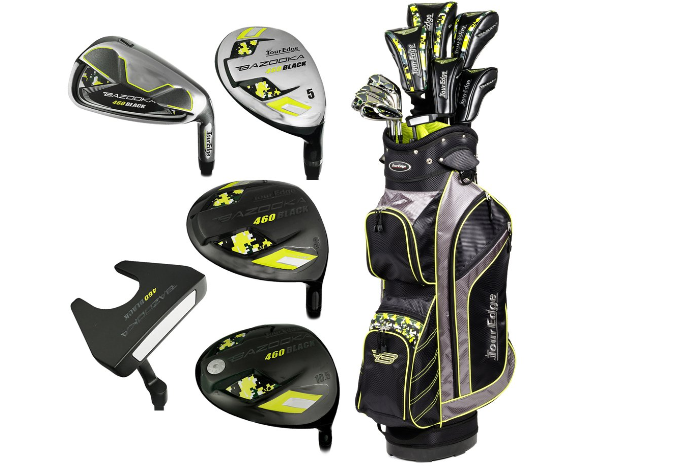 You also get a nice bag, your choice of drivers and other clubs, and a nice mix of flex and control across the various clubs. Lots of options and extras. Comes with more than you need. Not designed to last for more than a couple years. This is a great option for players who are just entering that intermediate level. You will be there for a while, so this is a good set of clubs to start off with. It’s relatively cheap, contains everything you need to start playing and to hit a wide variety of shots, and it offers decent quality. These are forgiving clubs that hit high but may not be as precise as you would like for the intermediate level. Once you get better, you will want to move on to another set, but at this price point, that should not be too hard to do. Decent quality for the price point. Skews toward higher intermediate handicaps. Your Skill Level- Are you really an intermediate layer or are you stuck at the beginner skill level and just don’t know it? According to Golf Club Revue, intermediate players will be able to hit 85-100 every game, while beginners will be at 100 or higher. 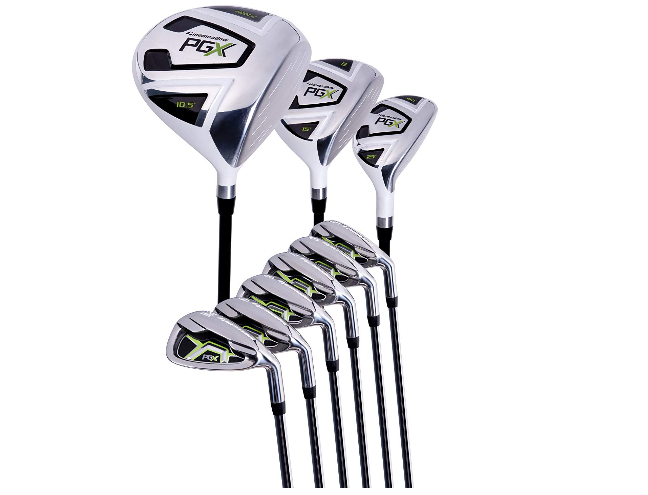 Make sure you are getting a club that suits your skill level. The Quality- Just because a club is made for intermediate level players, that does not mean that it is a high quality club set. You should read some reviews and learn more about the club before you buy to make sure it is worth your money. Look for indicators that it is solidly constructed and built to last and not make with cheap materials or in a cheap way. Talk to Professionals- What kind of club would be right for you? Do you need a club that helps you with posture, your swing or other components of your game? 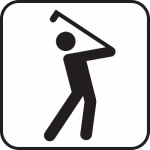 golficity.com advises intermediate players to get an assessment by a golfing instructor, coach or pro before they pick out a club to make certain that they are getting the right one. Length- You’ll need a club that works for your height and arm length. The distance from your wrist to the ground determines how long your club should be. It won’t matter what skill level the club is made for if you are not buying one that is the right size for you. Clubs that are too long or too short will require you to strike a pose that is uncomfortable to play in or that makes for some poor shots. Be sure to get measured and check the length of the club before buying. Going Cheap- You should be careful about buying very cheap clubs when you move up to intermediate play. Deer Creek Golf Club says that this is the time to spend a bit more on your clubs and really make an investment. That investment will pay off as you play more and more and improve your game. The clubs are going to help you improve, but only if you buy decent ones. Buying Major Brands- You need a better golf club as an intermediate player than you needed as a beginner, but that doesn’t mean you need to go for top brand names. This will look a bit conspicuous on the golf course, and it may look like you are pretending to appear professional to other players. Stick to mid-range clubs and try not to show off, because intermediate players still have a long ways to go before they can play in the same circles as the pros. Do your best to not look like a poser, because no one likes a poser. 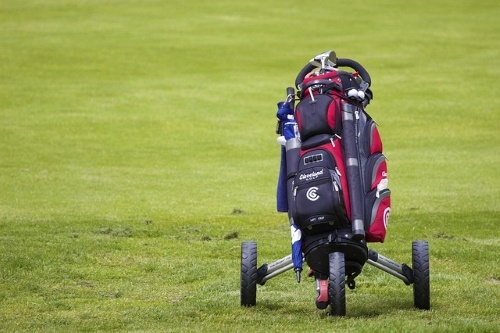 Buying Just a Few Clubs- You’re allowed to carry up to 14 clubs in your bag at a time on the golf course, according to PGA rules, but you don’t have to have a full load of 14. You also don’t want to go the opposite direction and just buy a few clubs. You need some diversity in your golf bag, such as drivers, wedges, fairways and more to ensure you can hit decent shots in any situation. Be sure that all of these are designed for intermediate level players to get the best results out of your clubs. Buying Secondhand or Aftermarket Clubs- You also want to be careful about buying any clubs labelled as being “aftermarket” These tend to be refurbished clubs that are hard to assess properly. They have been altered, in most cases, to the point where it is nearly impossible to determine the quality of the original club. Being an intermediate player is a big change from beginner status, and you should have the clubs to match your growth. Following the guidelines we have laid out for you here, it’s possible to find a club that really suits you and that helps you move forward to reach a more advanced skill level in time.